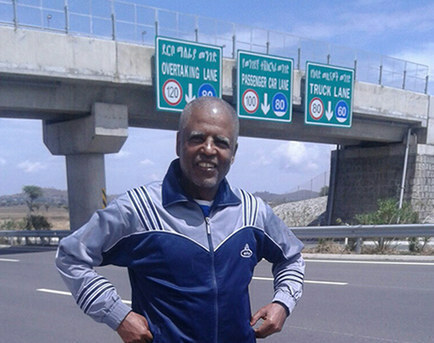 When Andargachew ‘Andy’ Tsege, a 60-year-old father of three from London, embarked on a Yemenia Airlines flight from Dubai to Eritrea on June 23, 2014, he didn’t have the slightest clue what was waiting for him. During a two-hour layover in Yemen, airport security, at the request of the Ethiopian government, arrested Tsege and handed him over to Ethiopian officials. He was then rendered to a prison in an undisclosed location. 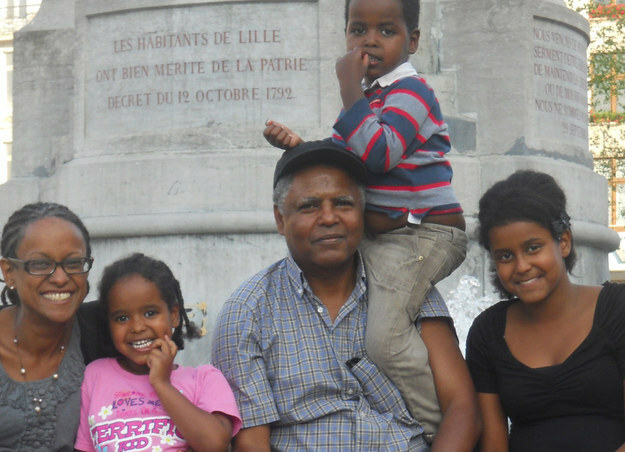 For the next 10 days, Tsege’s partner, Yemi Hailemariam, and his three children back in London — two eight-year-old twins and a 15-year-old daughter — were kept in the dark about his whereabouts. In 2011, Ethiopia tried a group of opposition members and journalists under its harsh anti-terrorism laws. The charges included high treason, espionage and involvement with a terrorist organization. That organization was Ginbot 7, a political party founded by Tsege and others in 2008 in hopes of bringing true democracy to Ethiopia. Eight defendants appeared in court. Tsege, along with 16 others, were tried in absentia. He was given a life sentence. Tsege had fled to the UK and sought asylum in 1974 after the government of Haile Selassie was ousted by a brutal military junta, the Derg. For nearly 20 years, he was unable to return home. Following the Derg’s ousting in 1991, Tsege came back to Ethiopia to serve as the secretary of Addis Ababa City Council — a tall order in a city that had been devastated by nearly 20 years of civil war. As time went by, however, he realized the party now in power, the Ethiopian People’s Revolutionary Democratic Front (EPDRF), wasn’t there to change the status quo, but to perpetuate it. “Corruption was pervasive, and a culture of nepotism and human rights abuses prevailed,” Yemi told BuzzFeed News. After 18 months on the job, Tsege handed in his resignation. 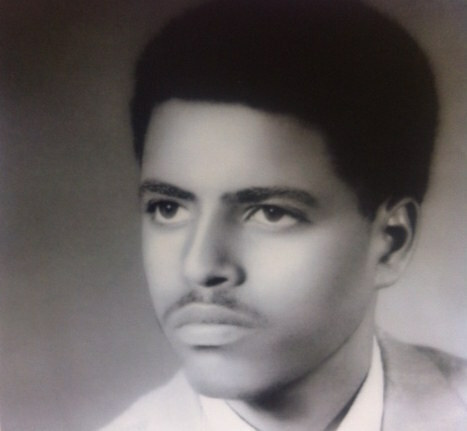 Disillusioned, he returned to the UK, but still kept a pulse on Ethiopian politics. In 2005, he published a book entitled Freedom Fighters Who Don’t Know What Freedom Is, in which the EPDRF leadership was accused of becoming the tyrants they fought so hard to overthrow. Reprieve, the Britain-based human rights group offering Andy legal assistance, believes his arrest was part of a government crackdown on opposition activists, ahead of last month’s elections. 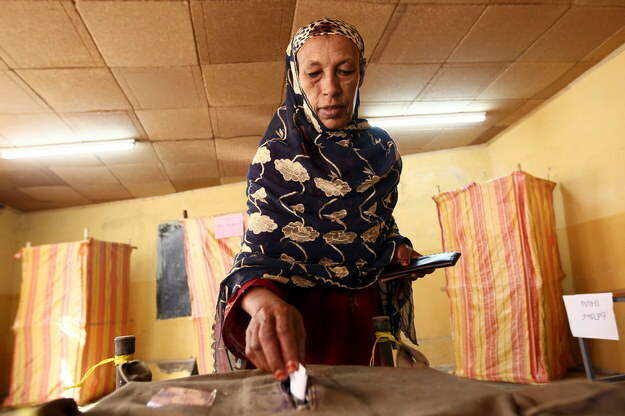 The May 24 election was the first time Ethiopians went to the polls since the death of Prime Minister Meles Zenawi in 2012. EPDRF, in power for the last 25 years, cruised to victory. 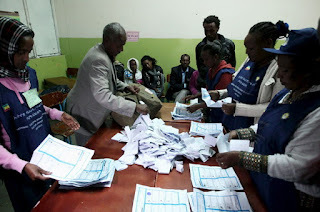 The opposition accused the government of vote-rigging. In an email to BuzzFeed News, a Foreign Office spokesman said the UK government is doing all it can to secure Tsege’s release. A recent report by the Committee to Protect Journalists (CPJ) puts Ethiopia among the 10 most censored countries in the world. The East African nation came at number four behind Saudi Arabia and North Korea. Eritrea, Ethiopia’s neighbor, was on top of the list. The Ethiopian government released this photo of Tsege, in an attempt to show that he was not mistreated. But Reprieve says the government has not said when the photo was taken and believes the photo was staged. Back in London, Yemi, who has only spoken to her partner once during a brief phone call on December 14, is angry at the British government for not doing more to secure his release.